Zoom-lenses in general are not really famous for high quality optics. 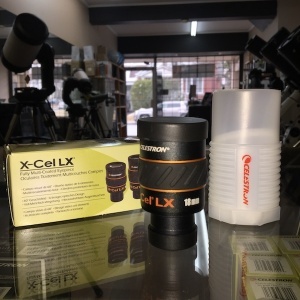 Also many zoom-eyepieces do not deliver the best possible image quality at high magnification because they were designed with focus on the price-tag so that image sharpness and field size is getting worse with increased magnification. The recognition that the Hyperion Zoom Eyepiece enjoys is based on the fact that it was designed the other way around: the glass selection and most of all the principal optical design and consequently the lens polish quality – all were optimized for the highest magnification. And obviously, when closing in on an object you will want the field of view to increase and not to have it become seemingly smaller. Hence the Hyperion-Zoom shows the largest apparent field of view at highest magnification. For many birders, observers of nature and astronomers alike, the Hyperion Zoom Eyepiece is their favorite eyepiece, it is also the only zoom-eyepiece that was designed from ground up to be used with bino-viewers. Even Bestsellers can be improved: The fourth generation of this eyepiece weighs 290 gram and is lighter by 80 grams than its predecessor – it now has 55 mm diameter to become useful in dual mode from 55 mm interpupillary distance, both features make it especially desirable for use with bino-viewers. 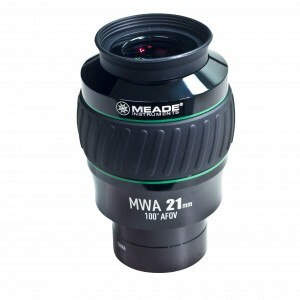 The adjustable eyecup can be removed to expose the M43 video/photo thread and create the maximum “nose space” for using it on binocular viewers with the supplied winged rubber eyecups – for maximum concentration on the target. The click-stop action has been smoothed out to more easily access the magnification stops at 8/12/16/20 and 24mm (click-stops are mandatory to easily and precisely set both eyepieces to the same focal length for effortless binocular observation without eye-strain). The zooming-mechanism as well as the inner zooming rails for all lens groups have been modified to improve cold temperature operation and the parfocalty for each focal length has been finetuned. Most important however – the Mark IV offers almost 4 mm more backfocus. This is most beneficial for application with a multitude of spotting scopes. 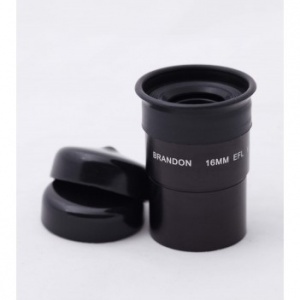 Two different Adapters for telescope and spotting scope adaptation are included with the eyepiece (Spotting-Scope Adapter „A“ and Telescope-Adapter „B“). Read more at “Telescope-sided Connections”). 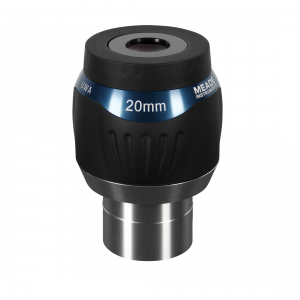 The Mark IV comes with both the 2″ and 1¼” nosepieces mounted, each nosepiece having it´s own dust cap and both nosepieces are threaded to accept either 1¼” or 2″ eyepiece filters. Both nosepieces are free of the hated undercuts. Instead our proprietary Zero-Tilt Safety-Kerfs provide an added measure of security by reducing the tendency of an eyepiece to slip from an unlocked eyepiece clamp. An additional little feature is the Baader-yellow soft pouch with integrated belt strap – which fastens onto many tripod legs just as well, to serve as a bin for all dustcaps that may go astray otherwise. As usual with Baader eyepieces, the Mark IV offers an M43 photo/video thread on top of the eyepiece, to allow attachment of any desired DSLR or T-2 accessory for mounting a video-camera by means of the optional M43/T-2 adapter ring #2958080. Unchanged is the optical quality, 68° field of view at highest magnification, Phantom Group multicoatings, a large adjustable eyecup or alternatively two M43 rubber eyecups for bino viewing. An optional spacer ring M43/M43 (#2954250) with 7,5 mm extension enables the user to increase the height of these eyecups in case of need. The Mark IV likewise accepts adaptation of the 2.25x Hyperion-Barlow onto the 1¼” nosepiece, to transform into a high power zoom, featuring the magnification range of 3.6 to 10.7 mm. 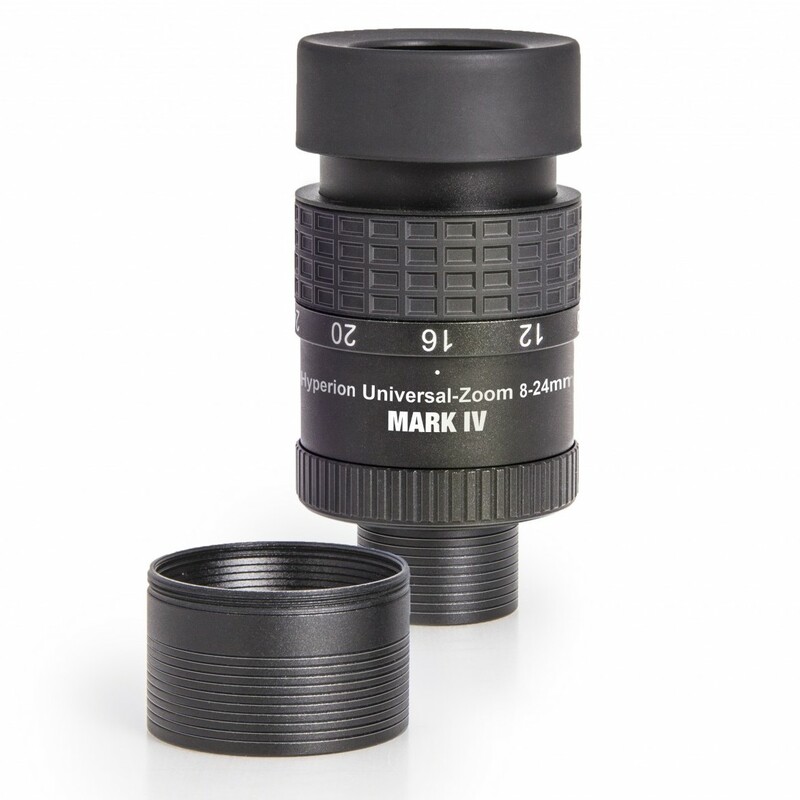 The Hyperion Universal Zoom Mark IV is available individually or as set together with the 2.25x Hyperion Barlow. 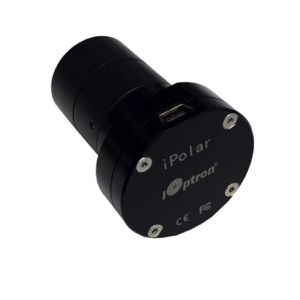 The Hyperion zoom Mark III comes with two removable barrels (1¼ “and 2″), as well as an 2″ SC-thread for direct connection on telescopes or mirrors/prisms with the optional 2″/2″ changer ring (#1508080). Telescope-Adapter B: Sufficient distance to clamping screws.. When using the Mark IV on a telescope though, the “B”-ring (supplied) should be chosen instead, to keep the bottom of the eyepiece flush with the upper end of most star diagonals. Otherwise the bottom 2″ SC-threaded holding ring that holds the “A” or “B” ring in place may directly rest on the clamping screws of the star diagonal. The supplied 2″ SC-ring also allows the Mark IV to firmly mount the eyepiece onto any SC-thread, especially onto our 2″ clicklock star diagonal, with the help of the 2″/2″ adapter (#1508020). As usual with Baader eyepieces, the Mark IV offers an M43 photo/video thread on top of the eyepiece to directly attach most video cameras. It also allows attachment of any desired DSLR or T-2 accessory by means of the optional M43/T-2 adapter ring #2958080. 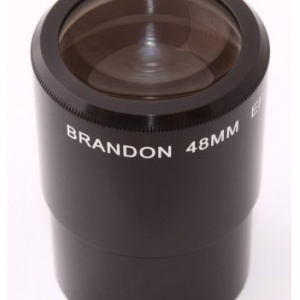 An optional spacer ring M43/M43 (#2954250) with 7,5 mm extension enables the user to increase the height of the included eyecups in case of need or to attach M43 cameras without touching the lenses. 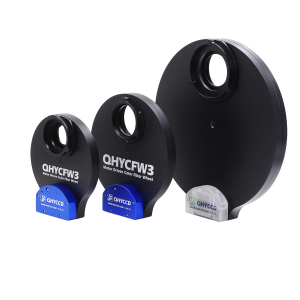 A further connection capability offers the SP54-system thread-in the form of the Hyperion DT ring system. 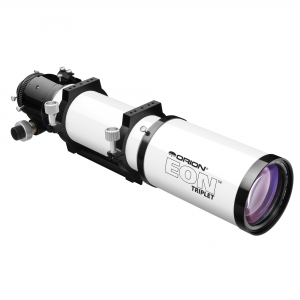 For this system, the transition ring M43/SP54 #2958086 is suitable for the Mark IV zoom eyepiece. This adapter enables the connection of all common camera lenses on the Hyperion zoom to use it for Eyepiece Projection. 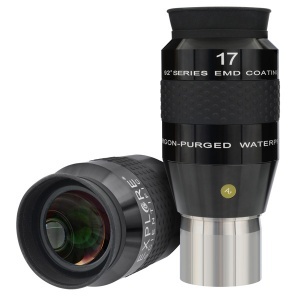 Those connection rings are called “Hyperion DT rings”, see our section “Eyepiece accessories” . Three different eye cups are included in the basic equipment of the eyepiece. Initially mounted is the large height-adjustable eyecup that also fastens onto the M43 photo-thread of the eyepiece. By rotating it counterclockwise the height will increase. This eyecup easily unthreads simply by rotating it upward further than the uppermost stop – this reveals the M43-thread connection. A none-folding rubber eyecup alternatively fits straight onto the M43-thread. This is the preferred solution for observers without glasses at a binoviewer. It gives you enough room for your nose and good support to keep the perfect eye distance. An even lower eyecup with foldable winged eye shield especially serves for wearers of eye glasses, the flappable side shields block stray light and side image information not part of the eyepiece field of view. This helps to concentrate on the target when using a binoviewer.